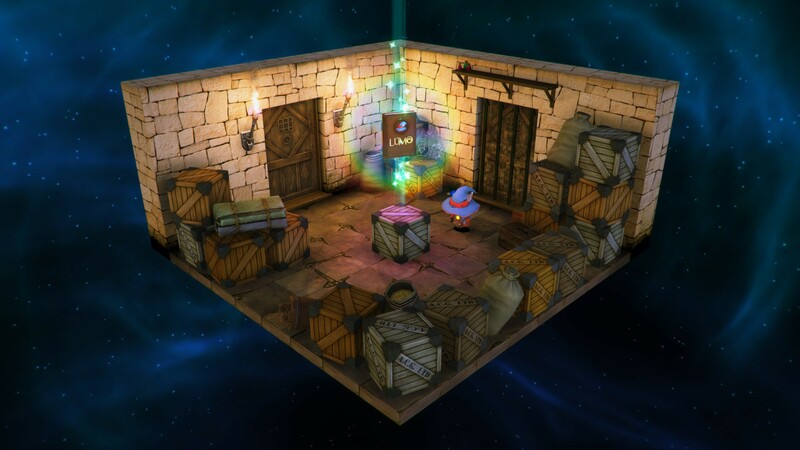 Lumo: Brilliant Iso Platformer’s One of The Year’s Best Surprises | "DESTROY ALL FANBOYS!" This isn’t a proper “review” (yet) as I’m basing my wordy noise here on the preview code I received and finally got around to this past weekend. Think of this as a fine and dandy heads-up if you’re on the hunt for a lengthy, challenging blend of old and new schools that’s cute enough to be a kid’s game, but tricky enough to get the most seasoned player checking out every nook and cranny for hidden stuff. As you play, you’ll discover Noyce is indeed a very, very talented guy with an elephantine memory and deep knowledge about his favorite games and a willingness to share that with anyone who picks up a controller. 400 rooms in a beautifully rendered Easter Egg farm where fast movement is necessary, yet paying attention to visual cues makes for truly rewarding play sessions. 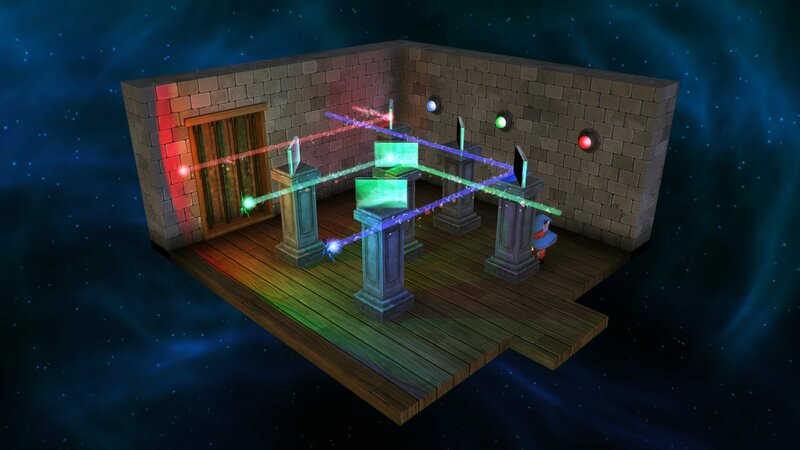 The sense of discovery in Lumo is fairly remarkable because you’ll be doing things both inside and outside the box. See some crates stacked by a wall or what looks like a curious means of reaching the top of a wall? With a bit of effort poking around in nearby room or a bit of backtracking to other curious spots, you’ll be up and over those walls and into new territory. The game doesn’t handhold or tutor you with much other that allowing your brain to expand a bit and get your eyes looking for anything that seems odd. There’s that sense of accomplishment when you learn how to double jump off a crate or floating bubble quickly, nab that rubber duck and bounce to safety thanks to the well-done controls (that are adjustable via pre-game setting menu). That said, prepare to use a controller over a mouse and keyboard for best results. 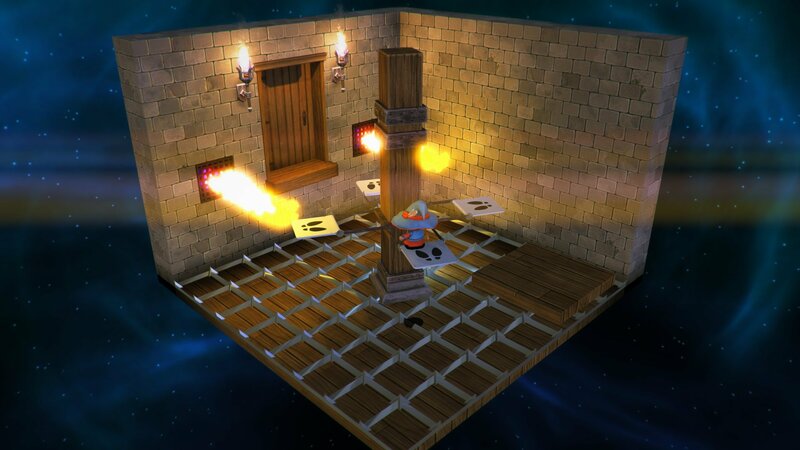 Each room is a puzzle to b solved and while the game has two difficulty levels, it’s very highly recommended that new players (or old and rusty ones) hit up the easier mode for its map and timer-less play. The harder mode is pure old school timed madness that’s brilliant and all too challenging. Or: I didn’t make it past the tenth room because I panicked jumped into some nice dissolving liquid of some sort. Back to the other mode for me! Still, the game in any mode is a joy to see and play. Fantastic, crisp and colorful visuals pop off the screen in full HD, the music and sound effects work perfectly together, and there’s the BIG Grin factor working at full tilt. “What’s that, now?”, you ask? Well, you know when you’re playing a game that’s SO good and so much fun that you start getting a BIG Grin going that lasts so long your teeth dry out? Yeah, Lumo will do that to you and do it well and often enough that you’ll want to not get up from in front of your home computing device of choice. Fortunately, PlayStation Vita owners will see a portable version of the game in June (yes, please! ), along with an Xbox One version for that console’s owners. Sorry, Wii U fans – there seems to be no plans to get this onto the eShop, which is too bad for those who only have that system to play games on. It would be cool to have a parental unit who remembers playing the NES and SNES game noted above earlier passing that torch (and a Wii U GamePad) to their offspring so they could get a BIG Grin going. But those fans will need to opt for one of the other available or soon to be made available options. Anyway, go grab Lumo and see for yourself what’s what. It’s definitely the smartest game I’ve played this year and unless something else really blows me out of the water and gets me BIG Grinning like this, that list of clever games might be a short one by the time 2017 rolls in. This entry was posted in 2016, Commentary, DAF, Features, Humor, Updates and tagged BUY THIS GAME!, Classic Gaming, Digital Games, Downloads, Gallery, gog.com, Hands-On, Holiday Gift Guide 2016, Humble Store, Indie Games, Lumo, Nostalgia, PC, PC Games, PlayStation Vita, PS4, PSN, Retro, Rising Star Games, SCEA, Screenshots, SEN, Sony, STEAM, Triple Eh! Games, Valve, VGA 101, Videogame Appreciation 101 by geelw. Bookmark the permalink.